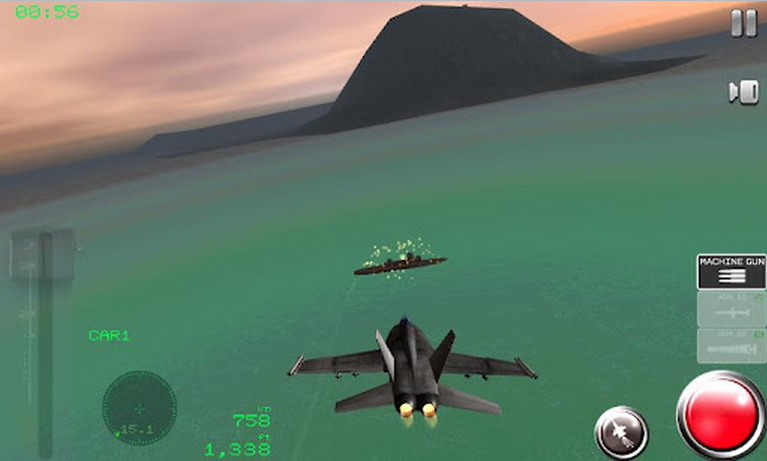 Here’s a game I’ve been looking for – a modern fighter jet game with decent controls. It’s called Air Navy Fighter and it’s pretty awesome. You take control of a Hornet and do various missions that include destroying ground targets, SAM sites, and more. So far, the most difficult thing I’ve encountered is actually landing the plane back on the carrier. There’s a pro version that offers more planes which I may have to invest in, but for now, this free version comes with plenty of missions and the controls are excellent. If you’re into the jets and blowing things up with guidied missiles you can’t go wrong.